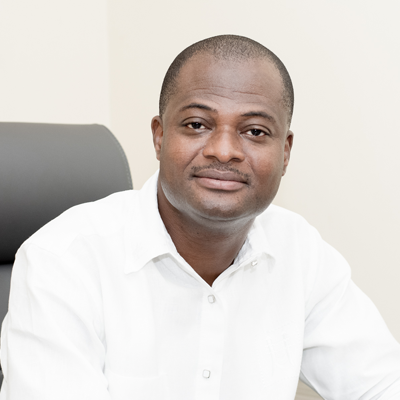 Professor Raymond Atuguba, an academician and lecturer at the University of Ghana Law Faculty, has called for a bridging of the gap between the younger generation of lawyers who are asking for change in Ghana’s legal system and the older generation who prefer the status quo. 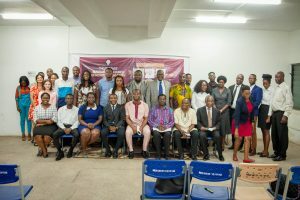 Calling for reforms in the legal system, especially in legal education, he expressed concern that many young people were being prevented from entering the Ghana School of Law through examination questions that have nothing to do with the legal profession. Unfortunately, he said, one had to correctly answer those questions that have no bearing on law before qualifying to enter the School. 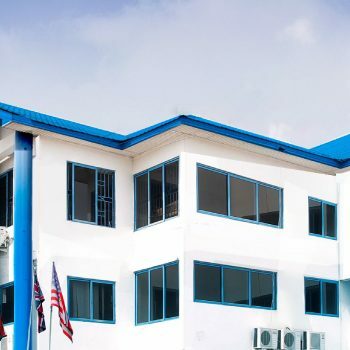 As a result, he said the broad majority of students fail the examinations, making it obvious that they were not meant to test anything, but to prevent as many students as possible from entering the School for the simple and unacceptable reason that the physical space in the campuses of the Law School is limited. And this regulatory bias for fewer and fewer lawyers was happening in the face of Ghana’s dire need for more and more lawyers. Giving some statistics, Prof. Atuguba said Ghana has less than one percent of the lawyers she needs on the ground. 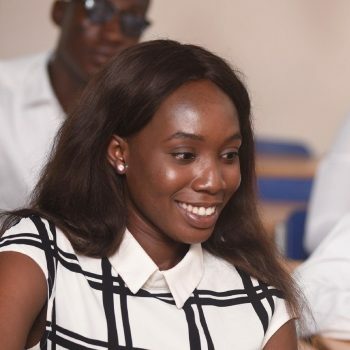 The few lawyers trained service the entire globe – they have been critical players in universities in other parts of Africa and beyond, and in international organisations. Here at home, many companies have no in-house Counsel and very few local authorities have lawyers on retainer, when they should have full-fledged departments. Proposing a number of concrete steps for reforms, the law lecturer said: “First, we need to change our change agents. The Minister for Justice and the General Legal Council are not capable of implementing all the steps needed for reform. 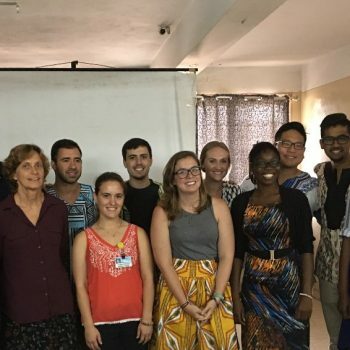 Once the change agents are changed to include experts on our national development trajectory – experts on law and society, experts on education generally, experts on curriculum development and testing, experts in legal education – the primitive laws that now govern legal education and the legal profession in Ghana will change”. He stressed that all over the world, systems of education and of legal education were changing to accommodate new models of learning and new modes of assessing such learning. 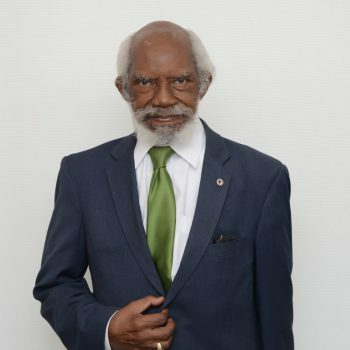 Fortunately, he observed that “some changes to learning have taken place in the Ghana School of Law: the restructuring of legal education to include extensive practicums, including in law firms and other legal sites, is very good and must be praised. But more needs to be done”. He said in a country that is so invested in law, any shortfalls in the law affect the entire body politic. “The problems with the Criminal Procedure Code, which our Supreme Court has so illustriously pointed out, are worse in the case of the Legal Profession Act. Passed in the very same year, the two laws are archaic and oppressive and crippling of enterprise, growth, innovation and creativity”. He continued: “It would not be wise for Parliament to wait on the executive, this time round, to propose legislation on the issue. The legal sector is quite averse to change. Change comes to it more slowly than it does to other domains of our national lives. If it were otherwise, we would not still be wearing horse wigs”. “Parliament must exercise urgent agency in this matter and engage in the broad consultations that are needed for the reform of the legal sector, and for the first time in 25 years, actually draft its own bill, and pass into law. 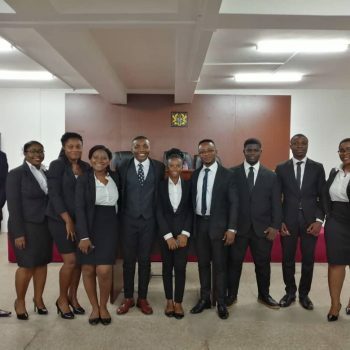 A law for the regulation of the legal profession in Ghana cannot be characterized within the class of laws that the Constitution forbids Parliament or any other person, other than the President or his agent, from presenting to Parliament” , he concluded. A group picture of Mountcrest executives, the Students Representative Council, the Speakers and guests from the University of Ontario, Canada. Seated from right are Prof. Emmanuel Quansah, the Faculty of Law; Prof. George Sefa Dei, University of Ontario, Canada; Mr. Kwaku Ansa-Asare, Founder/Rector, MCU; Prof. Raymond Atuguba, University of Ghana Law Faculty; Mr. Ibrahim Anyass Mohammed, SRC President; Ms. Ama Aboagyewa Akor, Senior Assistant Registrar; Nii Marley Simmonds and Ms. Esther Forson, both SRC members. 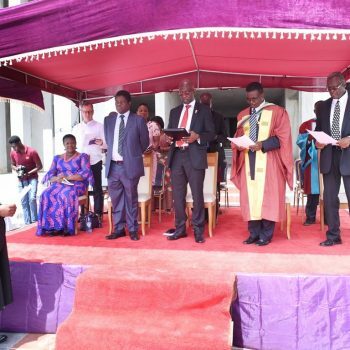 Standing second row: 4th from right is Prof. Michael Baffoe, Dean, Faculty of Social Work and Prof. Harold Stewart Amonoo-Kuofi (in tie), Deputy Rector and Dean, School of Medicine & Health Sciences.